Why We Laugh: Funny Women :: Movie Information :: RabbitTV GO! Joan Rivers hosts personal and in-depth interviews with some of the most prominent female voices in comedy and entertainment, enriched by live performance footage from some of the most talented female comedians working today. Funny Women sheds light on the legacy of the female comedian and the dedication, courage and passion that is required to be successful in a male dominated business such as stand-up comedy. These courageous women have broken the mold and have created a new and more inclusive landscape that expands beyond the comedy club stage. 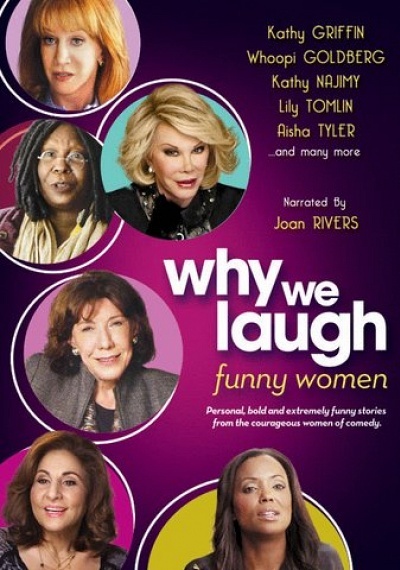 Outspoken, personal, unapologetic, bold and extremely funny…Why We Laugh: Funny Women.